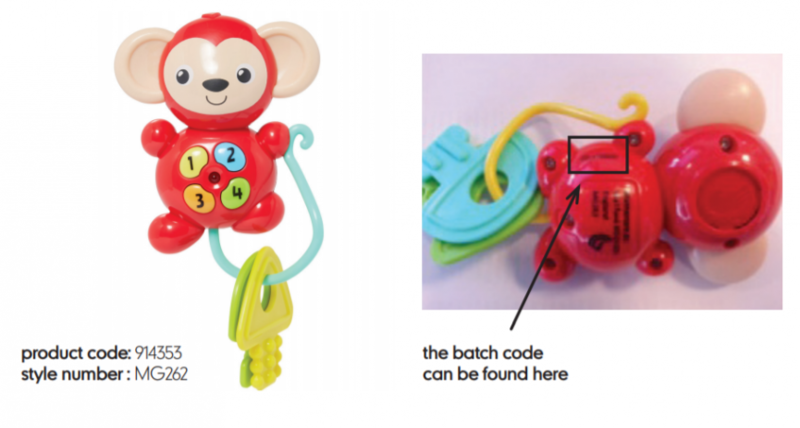 Mothercare* have just issued a safety recall on their My First Keys baby toy, due to a "risk of the battery compartment coming off and exposing the button cell battery". The item concerned was sold online and in Mothercare stores from June 2017 to April 2018, and only the batches specified below are affected. Affected batch codes: 02-161024, 02-161205 and 02-170509. Batch codes can be found on the reverse of the toy next to the battery compartment. You can read the recall notice in full on the Mothercare website here*and on the Trading Standards website here.